Space planning or space optimisation is the next part of our design process, but is also offered as a standalone service. 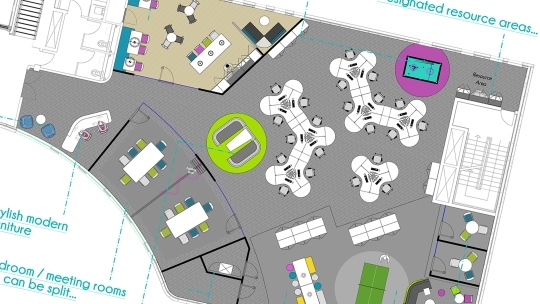 Your tailor made solution will usually be presented in 2D plans or a birds eye view which helps everyone understand exactly how your space can be used in order to maximise square footage but also to allow easy movement of people, provide appropriate natural lighting and adopt new, more efficient working practices. 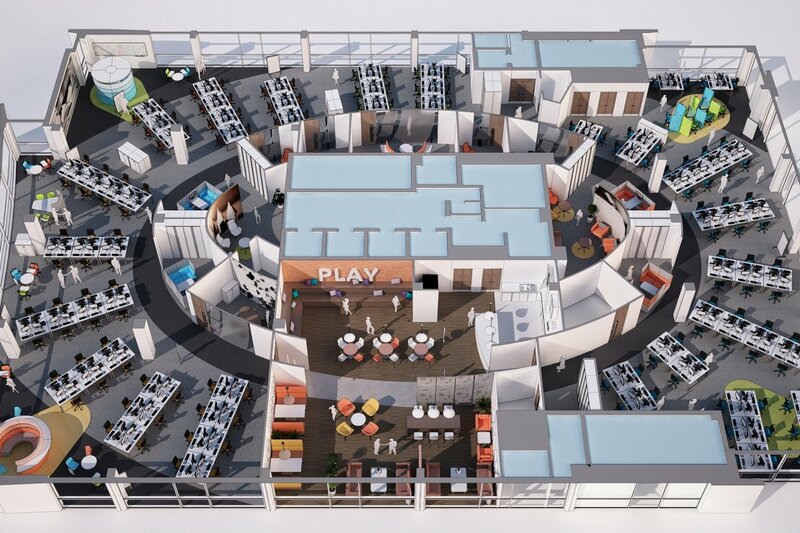 Our experienced designers can do all this whilst considering if the best option is your existing office or a new workplace, potential future growth, and of course your budget. 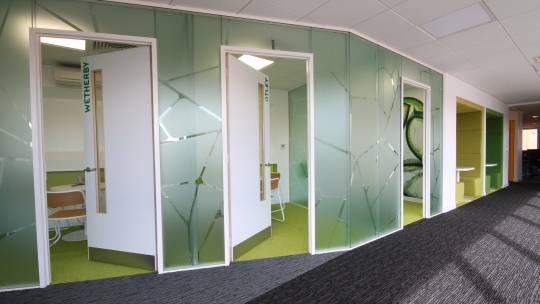 We also present new ways of laying out your office space, offer impartial advice and challenge you to think differently about your workspace. 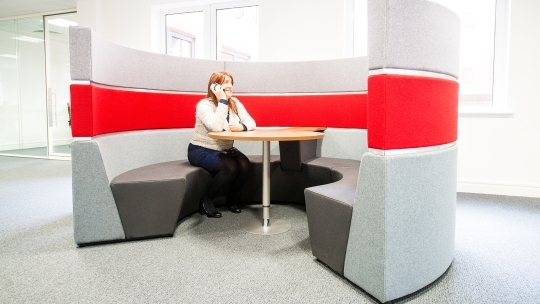 For example, you may benefit from including new areas such as flexible board rooms and meeting rooms, acoustic pods, breakout areas and soft seating areas. 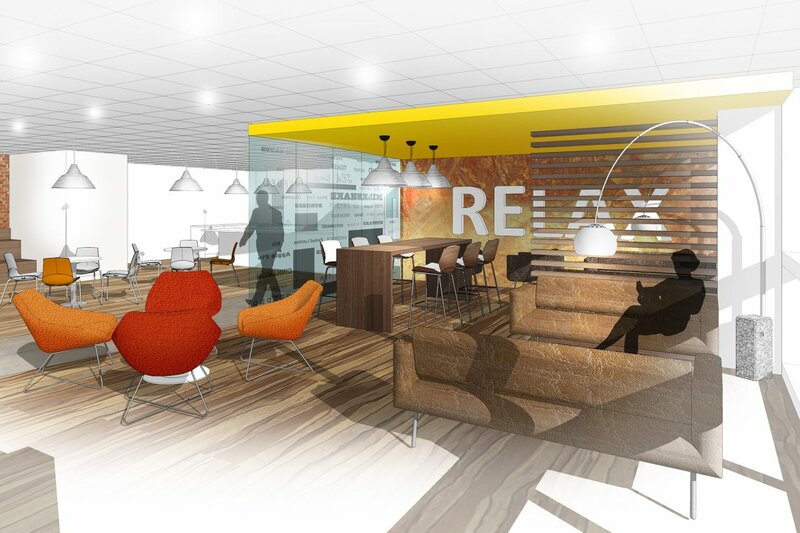 Once the basic layout is agreed through the space planning phase, we will develop and present your interior design through the use of mood boards, sample boards, 3D visuals and CGI walkthroughs with the purpose of communicating the look and feel of the proposed environment. Ben Johnson designers take inspiration from various sources, and we can create many different design styles for our clients. 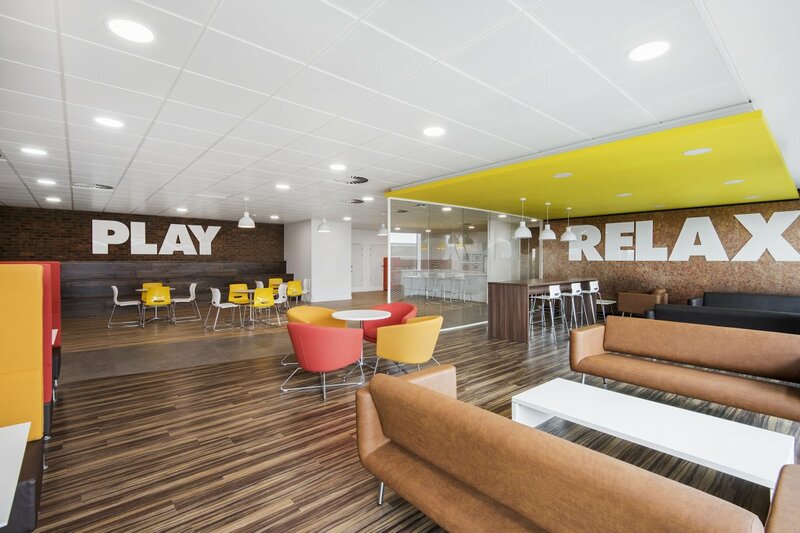 This ensures that we can find a look that is right for you, whether this be rustic, corporate, funky, or that Google Office look (with or without the slide) – you will be individual! We also know how to keep our feet on the ground. Balancing cost and aesthetics is critical for the success of your project. Our experienced estimators work with you and the designers to select the best finishes and fittings to suit your budget, design vision, functionality and environmental credentials.